Accept Foreign Currency Notes for Goods & Services. Increase your Sales & Earn Extra Income. You may already allow customers to pay for goods and services in the currency of their choice, using their debit or credit cards, but what about customers who want to pay with actual currency notes? Pay with Currency allows you to accept currency notes for goods and services that you provide. 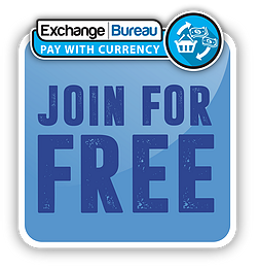 Exchange Bureau’s unique “Pay with Currency” online system is easy to use with, smartphones, tablets, laptops or desktops and it’s FREE to join. Now your customers can pay you with 12 popular currencies including Euro and US Dollars. Never miss a sale again by refusing a sale OR being unsure about what exchange rate to charge on a conversion. Simply register, log in and use Pay with Currency to calculate the correct amount of currency required for the sale. Pay with Currency just needs a few customer details and some information about the goods and/or services you are selling. Then all you need to do is select the correct currency to be used for the sale, enter the sterling value to be paid for the goods or services, and Pay with Currency will tell you the minimum amount of currency required to complete the sale. 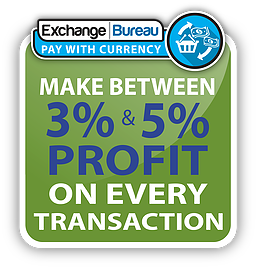 Any small amounts of change due to your customer are calculated by Pay with Currency and can be paid to your customer in GBP £. Pay with Currency will also provide your customer with a receipt style of your choice with POS receipts, A4 printed receipts or an email receipt sent instantly to your customers email address (if entered). Extra Business - By providing the Pay with Currency service, your customer transactions and repeat interactions shall increase, which shall substantially improve your profitability. Not Just Tourists - As millions** of UK residents have small amounts of left over currency from a holiday or business trip. This can ALL be exchanged for goods and services. Pay With Currency now works on most* EPOS Touchscreen till systems. So now it’s even easier to use Pay With Currency (PWC). Run Pay With Currency through your existing EPOS touchscreen till in minutes. Once our printer software is installed, PWC now shares your printer. You can now switch between your till and PWC in seconds. 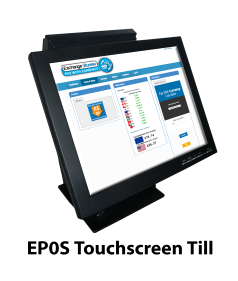 * EPOS Touchscreen tills must run on a windows operating system, which most do. PWC does not interfere with existing EPOS till software. ** PWC works best with Chrome browser, so why not install it . Search for "Google chrome"
*** Please follow the instructions fully to ensure an easy install. Help is available, when logged in, at your "Assistance > screenshots" area. Pay with Currency is compatible with most Point of Sale (POS) receipt systems or stand alone POS**** printers on both 58mm and 80mm thermal printer rolls. It is also fully compatible with all laser or inkjet printers including Airprint and Wifi Direct enabled printers. If you don’t have a printer, you can still email your customer their copy of the receipt by using the receipt emailing feature (if required). 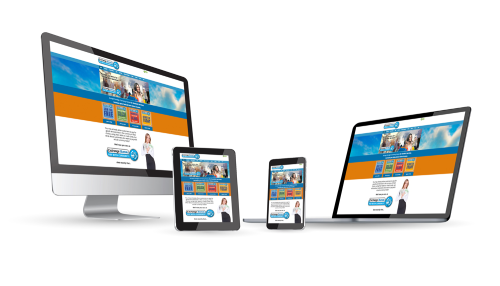 All you need is the ability to get online via onsite broadband, a wifi dongle or via your mobile data provider. Once you have registered, you can also download and use our FREE app for either Apple or Android devices. This very simple app has restricted functionality but has everything you need to do a transaction (no receipt printing option). When you need to see more details and information about your account, simply log in via the full web version. Offering as many Payment Options as you possibly can, is good for your business. No other customer payment option PAYS you and DOESN’T charge you for transactions. 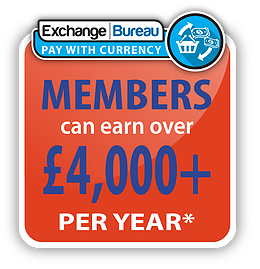 * Based on a business premises returning £1000 GBP value of currency per week at an average profit margin of 4%. *** Profit range between 3%-5% and currency dependant. Rates change daily and could increase or decrease profit margin. 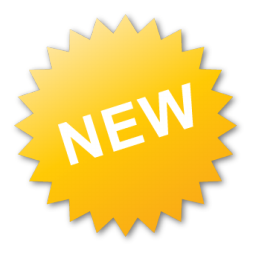 **** On joining, you MUST select and save the POS printer setting and download our POS software (available in account settings). Then follow the instructions to set up your POS printer. POS printing is not available for android devices. 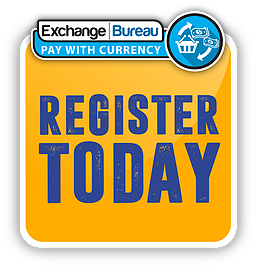 Exchange Bureau's Pay with Currency is a trading name of The Cheque Shop Ltd (RTM), a UK registered company with its registered offices at 47 London Road, Edinburgh, EH7 5SP. Company Registration number SC185172. The Cheque Shop Ltd is a data controller, registered with the Information Commissioners Office (ICO) and thus fully complies with the Data Protection Act 1998. The Cheque Shop Ltd is a registered Money Service Business (MSB) for foreign currency transactions. Registration number 12132361.